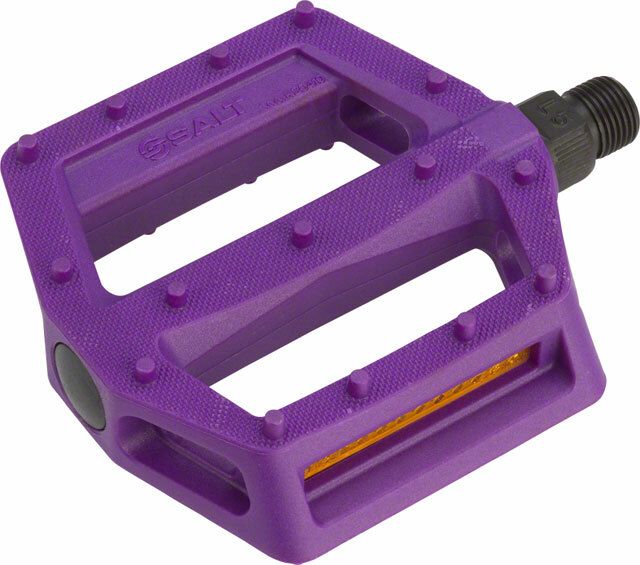 Available SoonSorry, 'Salt Junior V2 Nylon Pedals 9/16" Purple' is currently out of stock. Please check back later or contact Bikeman for an expected availability date. Refer to our Shipping Terms for more information.